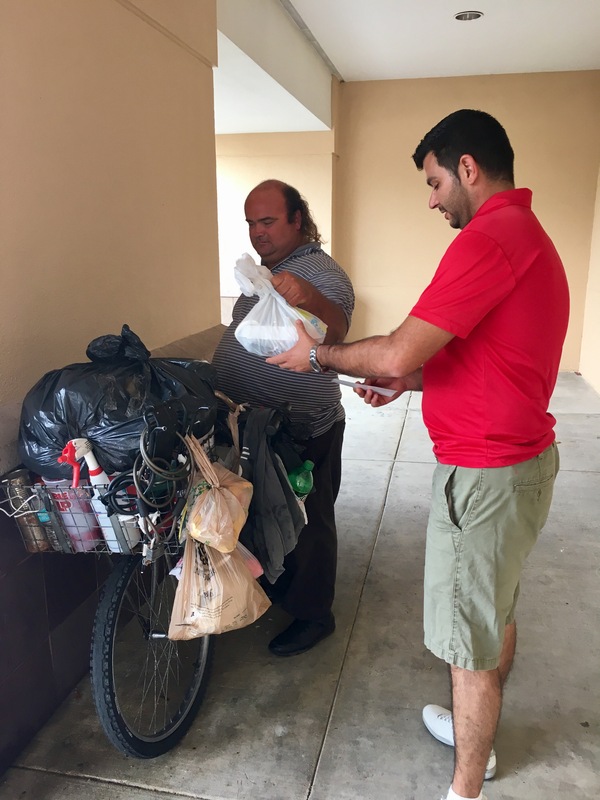 Our very own Daniel Boucinha decided to give his lunch away to our local homeless man. This is not the first time Daniel has done this, the two ran across each other for the first time over 2 decades ago. Once a month, Daniel makes a point to stop by the man’s “home,” a breeze-way located near our office building, to give this gentleman a bite to eat. With the holidays coming up, our office decided to make the homeless man’s next visit with Daniel extra special. Everyone from our office chipped in a couple dollars and we bought him a gift card to a nearby restaurant.